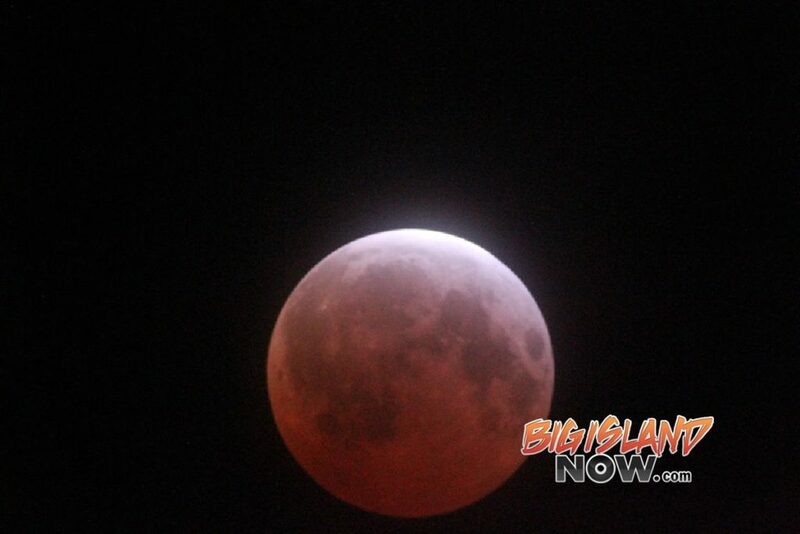 Although scientists have long suspected the existence of water ice on the surface of the Moon, a new study by a team of scientists led by researchers from the University of Hawai'i at the Mānoa School of Ocean and Earth Science and Technology (SOEST) has discovered the first direct evidence. 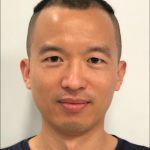 "We found that the distribution of ice on the lunar surface is very patchy, which is very different from other planetary bodies like Mercury and Ceres, where the ice is relatively pure and plentiful," said lead author of the study, Shuai Li, a postdoctoral fellow at the Hawai'i Institute of Geophysics and Planetology (HIGP) in SOEST. "The spectral features of our proven ice indicate that they were formed by slow condensation from a vapor phase, either due to impact or water migration from space." The newly discovered water ice lies on the lunar surface in permanently known areas of shaded regions (PGRs), which remain frozen in constant darkness. Using data collected by the Indian lunar mineralogy Mapper (M3) aboard the Chandrayaan 1-a mission, launched in 2008, the team discovered features similar to those of pure water in a laboratory. Their results were corroborated by other datasets obtained with the Lunar Orbiter Laser Altimeter (LOLA), the Lyman-Alpha Mapping Project (LAMP), and the Diviner Instrument aboard the NASA Lunar Reconnaissance Orbiter Mission (LRO). The result is the first direct detection of water ice on the lunar surface. Li said he was surprised by the discovery. "While I was interested in what I could find in the M3 data from PSRs, I had no hope of seeing ice characteristics when I started this project," he said. "I was amazed when I looked closer and found meaningful spectral features in the measurements." 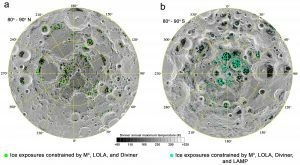 "The uneven distribution and lower frequency of ice on the Moon compared to other planetary bodies suggests that the processes of release, formation and retention of water ice on the Moon is unique," said Paul Lucey, professor at HIGP and Co Author of the study. "Considering that the Moon is our nearest planetary neighbor, understanding the processes that led to water ice on the Moon provides clues to understanding the origin of water on Earth and throughout the Solar System," said Li. "A future mission to the moon is needed to study the entire Moon PSRs to map all the water ice and understand the processes that have led to water on the Moon, providing a roadmap for future exploration of the Moon, especially the potential of water ice as a resource. "